An Autodoner can be used for Gyros, as well as Shawarma, Doner Kebab, and Tacos Al Pastor, and perfect for any commercial restaurant or hotel serving meat. 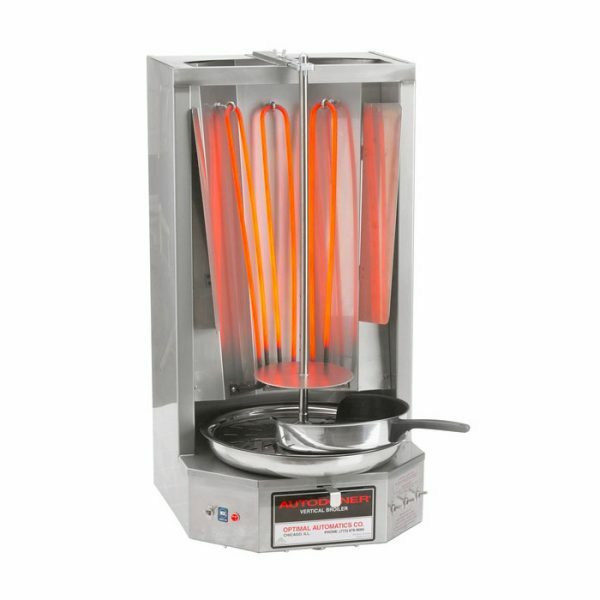 This vertical broiler has a capacity of 65 lb of meat. The 3PE was designed for operators using medium to large cones. Having 3 separate heating elements and switches it offers temperature control and savings. This machine comes equipped with all the accessories needed for optimal use.